Invite your family and friends for a birthday celebration amongst the wonderful world of biodiversity! We deliver all of our presentations at a level your audience will understand and enjoy. Each presentation is one hour in length, unless special arrangements are made. 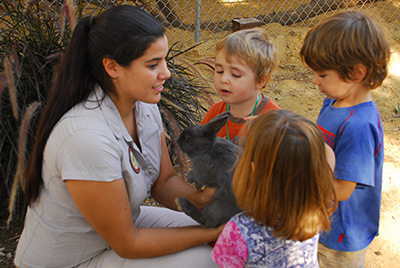 By participating in one of our education programs you can enjoy the reward of knowing that you are helping with the care of the animals that call Wildlife Learning Center home. 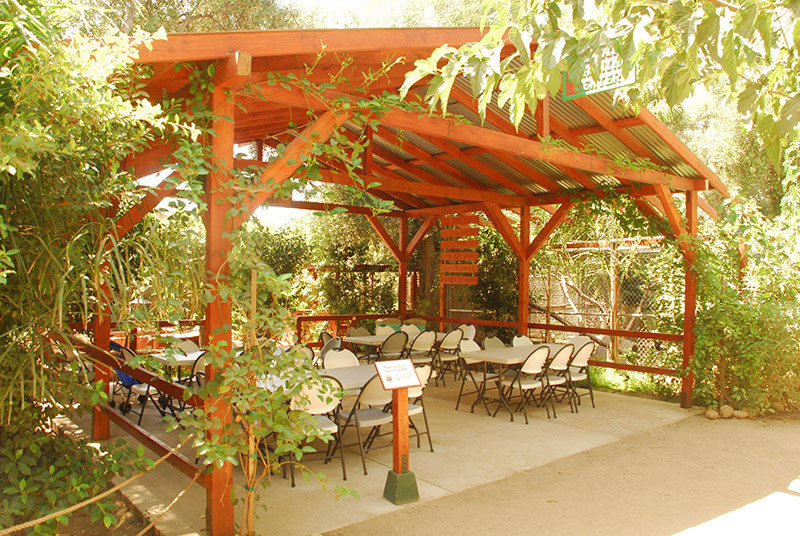 Be sure to schedule your special day in advance as these programs are popular and fill quickly. Scheduling your next event is quick and easy! Just call our friendly Education Coordinator, available 7 days a week, at 818-362-8711. If you would like additional presentations or a longer experience, discounts are available. A small travel fee may apply. 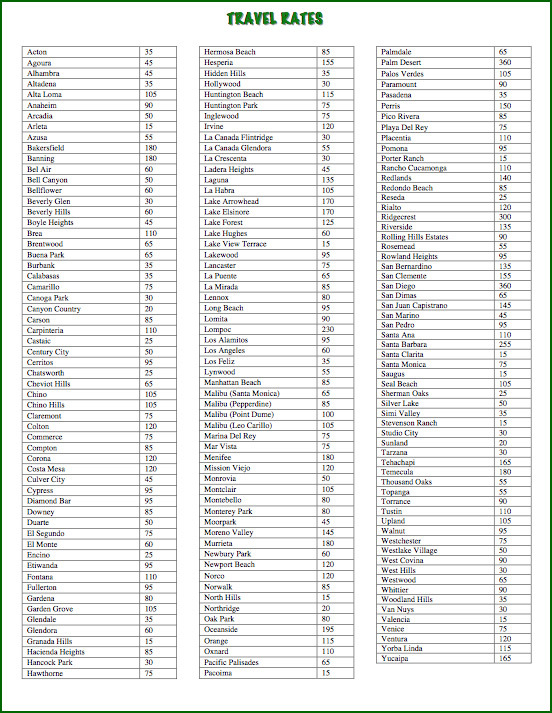 Please see “Travel Rate” pdf in the right column. You can see pictures of each of these fascinating animals under the “Our Animals” Menu. If there is a particular animal you would like at your event that is not included in your presentation, please call for availability and pricing. Two friendly and knowledgeable biologists will lead you and your guests on an informative, fun, and interactive rainforest adventure! Learn about the importance of our rainforests and the need for conserving these natural treasures. This is a birthday party adventure your child and guests will never forget! Biologists will introduce you to a Two-toed Sloth, colorful Macaw parrot, Armadillo, large Python, young American Alligator, Prehensile-tailed Skink, Rainbow Boa Constrictor, and Madagascar Hissing Cockroach! Don’t forget your camera! 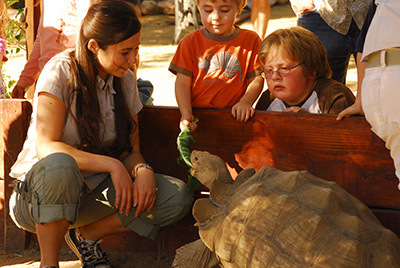 Take your family and guests on an around the world safari without ever leaving your home! Experience the world’s fascinating biodiversity and the interconnectedness of all living things. This will be remembered as the most fun and educational party in your neighborhood! Two enthusiastic biologists will introduce you to a Serval Wildcat, Skink, large Python, African Pygmy Hedgehog, Sulcata Tortoise, American Alligator, small Snake, Bunny, and one of our big Bugs! Bon Voyage! 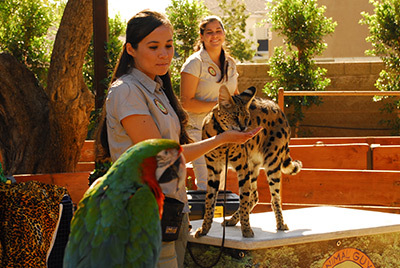 Your personal biologist and tour guide will enchant you and your guests with fascinating animals from around the world where you will learn about the important role each species has in nature! 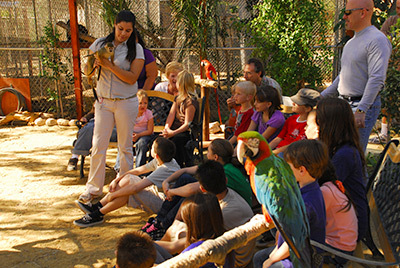 This is an educational and fun experience your child and guests will never forget! Choose 8 exotic and native animals from the following: one of our beautiful Foxes, a North American Porcupine, an Armadillo, Hedgehog, an Alligator or Lizard, a small Snake, Bunny, and one of our big Bugs! Every child is naturally fascinated by our fun-filled creepy crawly presentation! Your enthusiastic biologist will gently introduce your guests to these captivating creatures from around the world. This creature exploration can create a life long love for the life sciences. Your special birthday child will never forget meeting a fascinating Tarantula, African Sulcata Tortoise, American Alligator, Madagascar Hissing Cockroach, Skink, Gecko, Legless Lizard, and a couple small Snakes! An animal of your choice. We talk for 10-15 minutes about the animal’s habitat, how it survives, what it eats and other interesting fun facts. We will then answer any questions about the animal, invite you to take pictures and encourage guests to get an up-close and personal look! *Prices vary based on animals and number of biologists required. Includes a 60-minute interactive animal presentation including a Serval Wildcat, Porcupine, small Snake, Bunny, American Alligator, Hedgehog, Tortoise, Large Python, Lizard and one of our big Bugs! Enjoy a private 400 sq. ft. party pavilion reserved for you and your guests. Explore WLC and read our informative placards at your leisure and then relax for a 60-minute lunch and free time. You have access to your party area 30 minutes prior to your party for set up with assistance from one of our friendly biologists. A $150 deposit is due at the time of scheduling.